I'll say it. I don't like catching whitefish. I don't know many people who do. That's one of the reasons I don't like nymphing. Combined with the fact that it is an easy way to lose four dollars to the dark abyss on any cast, nymphing is not a personal favorite. Sure, it is necessary at times. But, summer is not one of them. 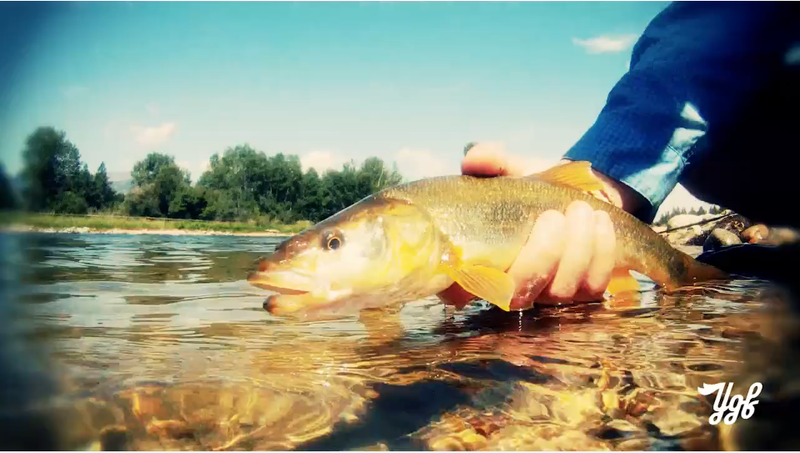 During spring, summer, and fall, I bask in the glory of good streamer and dry fly action. Nary a whitefish to be had. All trout, all the time. But, this spring and summer's streamer fishing has been peppered with the presence of the Northern Pikeminnow. A fish that, like the whitefish, is native to the waters around Missoula. A fish that, like the whitefish, is not particularly pretty. The predaceous Northern Pikeminnow is native to Montana west of the Continental Divide. It is somewhat pike-like in appearance with its large mouth and elongated body. Northern Pikeminnow prefer lakes and slow-moving waters. They are considered to be highly undesirable in some situations because they feed on young sport fish. They are effective predators despite their lack of teeth. Northern Pikeminnow are among the largest native North American minnows. Behind every piece of large woody debris, in every back eddy, along each undercut bank and in each backwater in the Bitterroot, I have caught a pikeminnow. All on streamers. Many of them smaller than the streamers themselves. Other friends have caught larger ones in the Clark Fork and the Blackfoot. The first couple are cool. A nice change of pace and always a surprise. But, lately, they have been wearing on me. They are every where trout should be and they will seemingly eat anything that swims. They are the streamer fisherman's whitefish. Why are they showing their ugly mugs this year? Is it a result of the removal of Milltown Dam and the subsequent decrease in the population of pike in our local rivers and backwaters? Maybe. I don't know. That's one heck of a minnow. So, question... do you kill them since "they are effective predators"? I, too, have caught more this year but am thrilled with the fight they offer - and I've caught HUGE ones this year that take great runs nearly to the backing. But if they are bad, I will do my part to help thin 'em out. Yeah, I caught lots of NPM with streamers when I lived in eastern WA (Yakima River exact). I'm not sure now but there's a reward/bounty program to get rid of them along Columbia River. They are supposed to be predators who eat salmon/steelhead eggs & juveniles. Well walleyes, basses, and trout themselves are also predatory, aren't they? @Mike - indeed. A friend of mine caught an absolutely massive one on the Blackfoot. Absolutely massive. @k.thomas - I haven't killed one yet. They are native. But, I know that they are considered a threat to trout and I know that many people will dispatch them. As they are native, I have avoided killing them. @satoshi - interesting. I don't know if a bounty program exists here in Montana. It is interesting how we put gamefish up on a pedestal. All native fish should be treated with respect. @anonymous - indeed. i certainly wouldn't debate that. thank you for publicly joining the conversation Anonymous. I like catching whitefish. And pikeminnow. I caught my largest to date on the deschutes a couple of weeks ago and I was stoked on it-- Sometimes I'd almost rather catch a naturally producing native pikeminnow than a cookie cutter hatchery raised McSteelhead. There is still a bounty on pikeminnow on the columbia river despite the fact that they're native (because they eat the smolts) while the carp, bass, and walleye don't have a bounty and are not native-- I don't think there's data yet on how bass impact anadramous fish. I'm not against the bounty but it's indicative of how bad we've let the steelhead/salmon populations get. I will publicly agree with Anonymous- native fish deserve respect. I think they should get more respect than any introduced/stocked game fish, but the native "minnows" and such aren't responsible for driving the economy like game fish... and ultimately money rules in most places. I think Jay has it right,If there were NPM guides out there the NPM would have all the respect it needs. Not unlike Carp was, still is for the most part but you hear more and more about Carp Fishing and I know a guide or two who will take you carp fishing, for a small fee of course and they take several people every year. CARP use to be a four letter word but more than ever Carp is the new Bone Fish. If you're drinking, a beer is a beer. If you're releasing, a fish is a fish.